Russian Railways (RZD) is to invest 300 million rubles ($4.8 million) in the industrial fund of Skolkovo Ventures as part of the state rail monopoly’s work to use innovative Russian technology to modernise the industry and make it more efficient. Together with Skolkovo Ventures, RZD will select new technology and solutions for investment, focusing on areas including alternative energy sources for rolling stock and infrastructure, technology for monitoring the condition of infrastructure, IT platforms for cargo transport services, and systems for optimizing transport and logistics chains. Vasily Belov, CEO of Skolkovo Ventures, said the agreement with RZD would also enable Skolkovo startups to access mentor support. Photo: Sk.ru. “For us, the fact that RZD is joining our industrial fund is a large loan of trust from one of the biggest Russian companies,” said Vasily Belov, CEO of Skolkovo Ventures. “A unique partnership is forming around the fund that will not only create opportunities for Russian startups to raise investment for new inventions, but also to obtain mentor support from major corporations, as well as access an enormous market: the annual volume of RZD’s investment programme is about half a trillion rubles,” said Belov. The industrial fund was set up jointly by Skolkovo Ventures and Russian Venture Company (RVC), a state investment vehicle, in 2017 to finance companies including Skolkovo Foundation residents working on Industry 4.0 technologies, such as robotics, additive technology and new materials, pilotless technology, smart energy, predictive analysis and the Industrial Internet of Things. The venture fund has a total of 2.5-3 billion rubles, of which RVC provided 1.5 billion. “RZD is a hi-tech company interested in innovations, so we have consciously taken the decision to invest in the venture fund managed by our colleagues from Skolkovo,” said Andrei Starkov, deputy CEO of RZD. “They possess a large number of skills in organizing venture startups. We hope that our joint work will be extremely successful and fruitful,” he added. Last week, Russian Helicopters, the country’s sole rotorcraft designer and manufacturer, announced at the Skolkovo Startup Village that it was putting 300 million rubles into the fund. Last October, the state-controlled United Aircraft Corporation pledged to invest the same amount. 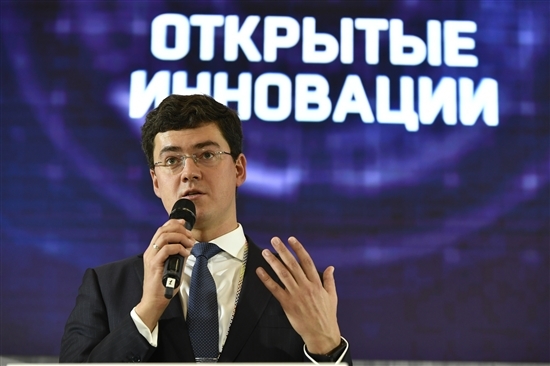 The IT fund of Skolkovo Ventures also got a boost during the Startup Village, where Sergei Solonin, founder and director of the Qiwi payment service provider, announced he was contributing 220 million rubles to it. The IT fund focuses on companies working in areas including fintech, AI and big data.